Being a mum (or a dad) is hard work, you get up in a morning and your day gets off to a hectic start as you hurry to get the kids ready for school. But what happens when you wake up with a migraine? If you've never suffered with a migraine then you're lucky I wouldn't wish it on my worst enemy. A migraine isn't just a headache, oh no, it combines the pain of a headache with nausea, aversion to light, and feeling like you've had your energy sucked out of you. If you haven't already guessed I suffer with migraines. They don't attack me daily but I get at least one every month. I used to suffer a lot more when I was on the pill but since stopping taking the pill the migraines' regularity has eased. The thing about migraines is there is absolutely nothing you can take to get rid of them, that's the experience I have anyway. No paracetamol or ibuprofen ever works for me. The only way to get rid of them is to lock yourself away in a quiet, dark (VERY important) place, have a cold compress for your forehead, and try to get some sleep. But how do you do that when you're a mum? Having a supportive Hubby is a big help and when he can the Hubby takes over the school run for me. Like today for example, I'm suffering with a migraine and the Hubby took LP to school this morning so that I could go back to bed. A walk, particularly when the air is cold, can be a huge help. I often go out first thing in a morning, with no coat, and take the boys on a little walk. They love it because they can run off ahead, scream and shout, and play, and I love it because the cold wind cools my head and eases the pain. I've used both 4Head stick and Migraine Cool n Soothe sheets (both available from Tesco) in the past. I'm using 4Head right now, it's a stick of menthol that can be applied straight onto the forehead. It can be used as often as you like and it's small so you can keep it in your pocket and take wherever you go. Unlike the Migraine Kool n Soothe Sheets there's no sheet attached to your head so you can try to continue with your day while easing symptoms of your migraine. Ok so this is more for the kids than for you but it does have the added bonus that you can sit with your eyes closed while the kids watch the movie. Ensure the kids have something to drink and some snacks, put the TV on and turn off the lights. While your kids enjoy watching their favourite movie you can close your eyes and rest. If you have long hair like me it can be a pain to try and keep your head cool. I tie my hair up loosely with a hairband, it keeps my hair off my shoulders and neck and allows my head to stay cool. 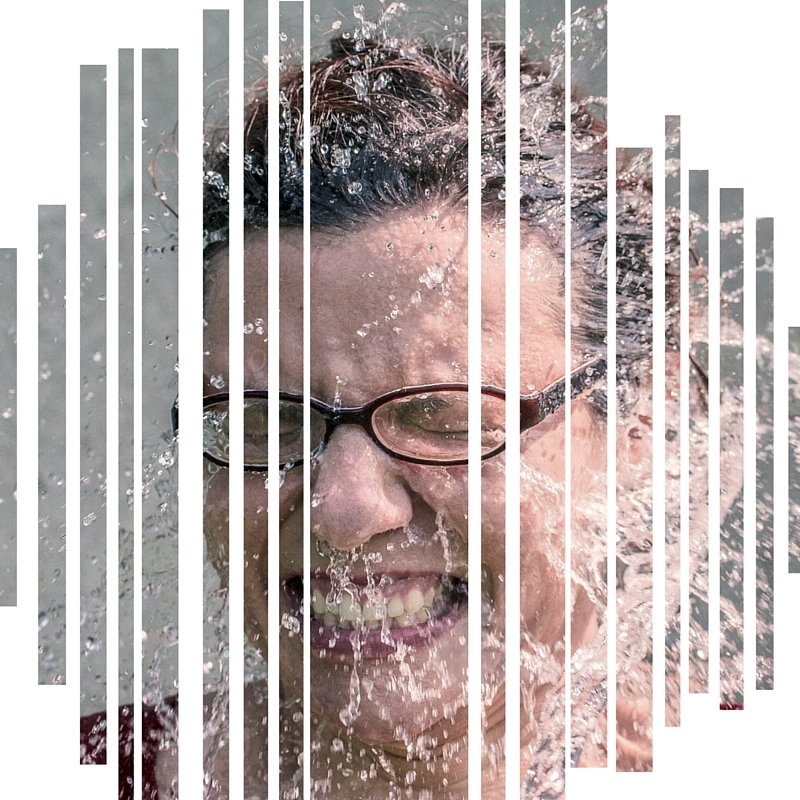 Just the thought of a cold shower when I'm healthy can make me shiver but when you're suffering with a migraine it can be a welcome relief. 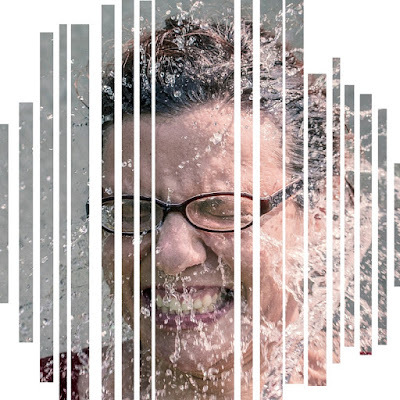 One of the side effects (for me) of a migraine is I get incredibly hot, a cold shower is the quickest way to cool down. You can try paracetamol and ibuprofen, sometimes they may help. I have never found them to help with my migraines but it's worth a try right? 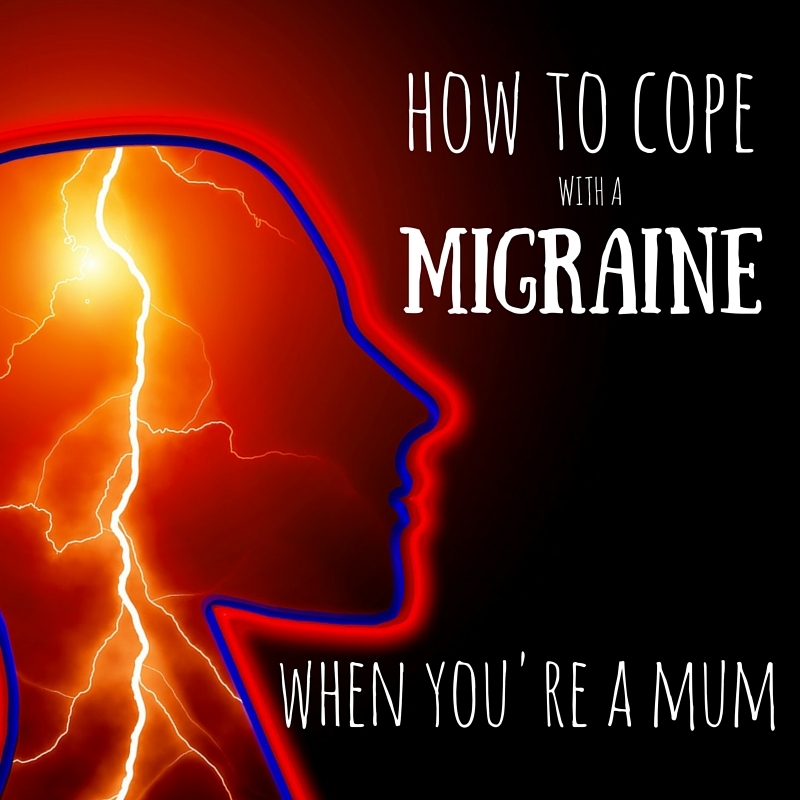 There you have it, my top tips for coping when you have a migraine (and you're a mum). Now, I'm off to lock myself in a dark room with my 4Head. Oh no, not a great start to any morning. I used to have a lot of migraines, but I learnt to recognise the warning signs when one was about to strike and now manage to stop them in their tracks. All great advice... I'm not sure I'd manage a cold shower though! Oh no! I hope you feel better soon! Migraines are the worst! I used to suffer a lot but now I get one in a blue moon. I never thought of having a cold shower. Next time I might give that a try. Migraines are horrible - thankfully I have them rarely but trying to keep going with the kids through them is just hideous - as you say, all you want to do is lock yourself in a dark room and try and sleep it off. I've never tried 4Head - will have to get some ready for the next time one hits and see if it helps. Hope you are feeling better now. Morgan I feel your pain. I used to get them so regularly it was awful I had these magic powders from the hospital but wasn't allowed to take them too often. Then the Dr changed by blood pressure meds and a side effect was they helped migraine. Touch wood since then I've only had 2. I hope you find some relief because once a month is too regular!!! Hi Morgan, I used to suffer terribly with migraines when I was on the pill too, now I rarely get them. Sometimes they would last for days and like you said paracetamol and ibruprofen didn't touch them, although the chemist gave me a one off tablet that helped, but it's been so long I've forgotten what it was called, but it worked. You've shared some great tips here. I found coolness helped relieve them slightly, but more often than not I just wanted to be left alone which as a Mum just doesn't happen, which is where a film is perfect! I always find cool, crisp fresh air works wonders for me too. Unless I get it in the early stages, medication does little to help... Great tips Morgan, thanks.